As a keen reader, I was generally undaunted by books assigned for English, always actually read them, and often got quite excited about them. 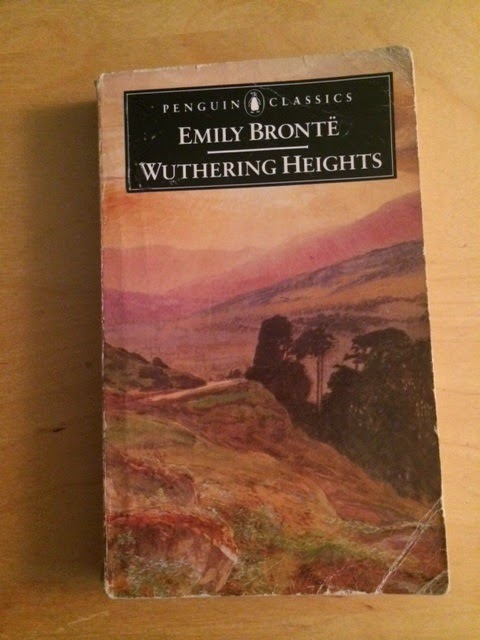 There was one book, however, that I was convinced I wasn't going to like when it was set for my A-Level class: Emily Bronte's Wuthering Heights. I'd read Jane Eyre when I was much younger and liked it a lot, but for some reason I had it in my head that it was some sort of drippy romance full of posh people blushing. I started reading my copy in bed, on a school night, at about 11pm ... and at 3am I was still reading it. Ghosts. Violence. Obsession. Sinister houses. Windy moors. Grave-robbing. Terrifyingly destructive relationships. Misery. Fear. Addiction. It's all bloody there. At least half the characters are dangerously unstable, and most of the other half are deeply flawed at best, completely unpleasant at worst. It's creepy, shocking and often terribly sad, but the ending somehow leaves you with a feeling of strange harmony and peace.